While bird owners will tell you that their feathered friends are second to none in terms of being great companions, the fact of the matter is that birds aren't for everyone. Bird owners face completely different sets of issues than do owners of more commonly kept pets such as dogs or cats, so there are some things that all potential owners should know about birds before bringing one home. Some bird owners see their pets' vocalizations as beautiful music; others simply accept that it is an inevitable side effect of owning a pet bird. While many birds emit vocalizations that can be soothing and pleasant, some commonly kept bird species, the hookbills in particular, can have calls that border on ear-splitting. Take this factor into consideration when choosing the species of bird that you want to keep -- you want to be able to tolerate the maximum noise level that your feathered friend is capable of reaching. Potential bird owners should know that birds can be messy, will waste a good portion of their food, and will most likely have a wonderful time launching various tidbits out from between the bars of their cages to the floor below. Birds have these messy eating habits because that's the way Mother Nature designed them -- in the wild, your bird's mess would help provide food to countless creatures living beneath the trees. 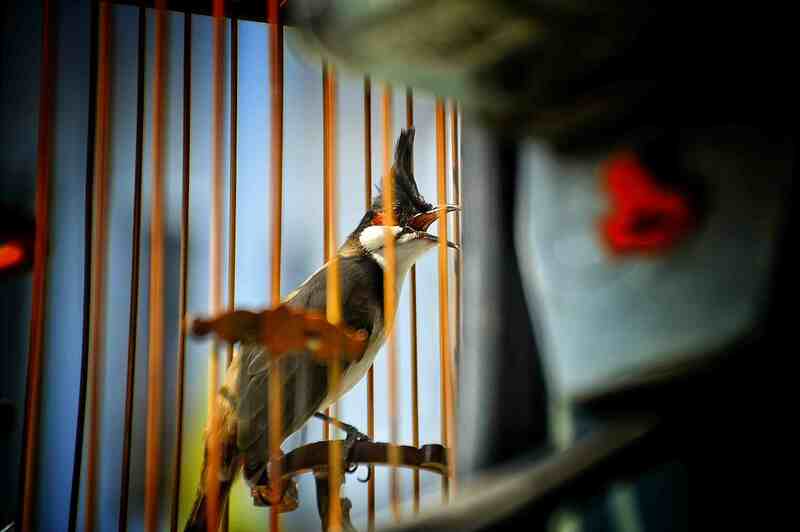 Even so, cleaning up around a bird's cage daily is not an ideal situation for many people. The good news is, this type of mess usually cleans up quickly with a blast from a vacuum or a few strokes of a broom. Products such as cage skirts are also available to help minimize your bird's mess. Unlike domesticated animals such as cats and dogs, birds are essentially wild and need to be handled and socialized with every day to remain tame. If you are thinking of owning a bird, you should assess your daily schedule and routine to see if you have the time that your feathered friend will require. Birds do best with reliable routines that they can follow throughout the day. If your schedule makes such a structure impossible, then a bird may not be the best pet for you. Owning a healthy bird is not as simple as keeping its bowl full of seed. In order to keep your pet in the best shape possible, a generous and varied helping of fresh fruits and vegetables must be offered every day. Fresh foods not only provide unsurpassed nutrition, experiencing different tastes and textures can stimulate your bird's mind, effecting psychological benefits. One of a bird's most prominent features, its beak, grows continuously throughout the bird's life and must be worn down to prevent overgrowth. In order to keep the beak maintained, as well as to exercise jaw muscles, birds need to chew. Because of this, bird owners must be diligent about supervising their pets so as to protect furniture and valuables from the beak's gnashing fury. If a bird is on your list of potential pets, be prepared to offer it a plethora of safe and fun toys to rip, shred, and destroy. This will help minimize the risk of your bird chewing on something that is not his, or worse, something dangerous or toxic. You Want a Pet Bird But Are You Ready for One? Which Species of Birds Are Considered the Most Intelligent? Do Rainbow Lorikeets Make Good Pets? Do Scarlet Chested Parakeets Make Good Pets?